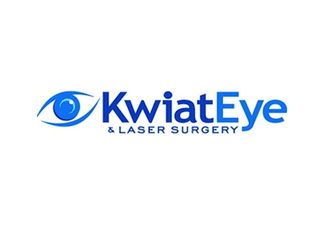 Kwiat Eye and Laser Surgery works tirelessly to ensure that each patient not only receives the best treatment possible but most importantly that they have the best possible vision they can have. This app will connect you with our practice. Please feel free to explore Patient Education, get materials for Patient Registration (which will shorten the time for your first visit by allowing you to fill out the Registration forms at home and bring them to the office), Request an Appointment, or follow links to other professional resources, download this app to your Smartphone and use it to connect with our office, learn more about ophthalmologist care, and stay informed about our services and specials. We strive to provide the highest quality of care to our patients. We knows what a significant difference in health and self-esteem a beautiful smile can make, which is why we are dedicated to giving each of our patients the beautiful, straight smile they deserve! One Team US, LLC rendered a reliable service for a helpful Windows Medical Mobile App, and tested the compatibility measurements for Windows Operating System. This is to ensure that our Team will surely provide the needs of our clients especially when it comes to downloadable mobile applications. The implementation of this Medical Mobile Application gives an advantage to the patients.